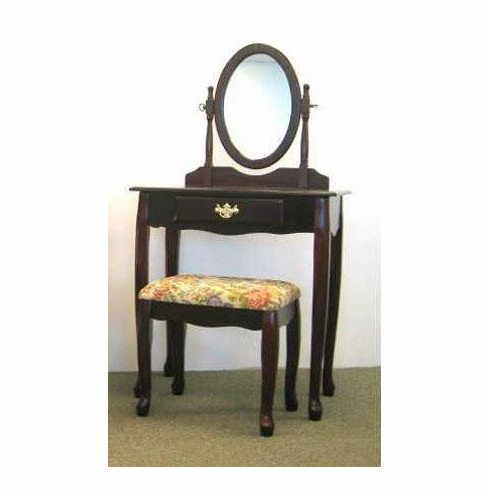 Cherry Vanity table and chair. This vanity comes with small drawer & padded seat chair. Both pieces comes in one carton.